For my trip to Majorca, I took my Polaroid Impulse Portrait, which by the way I never used before, so I bought a film by The Impossible Project. I decided to get the special edition with the frames in colours. 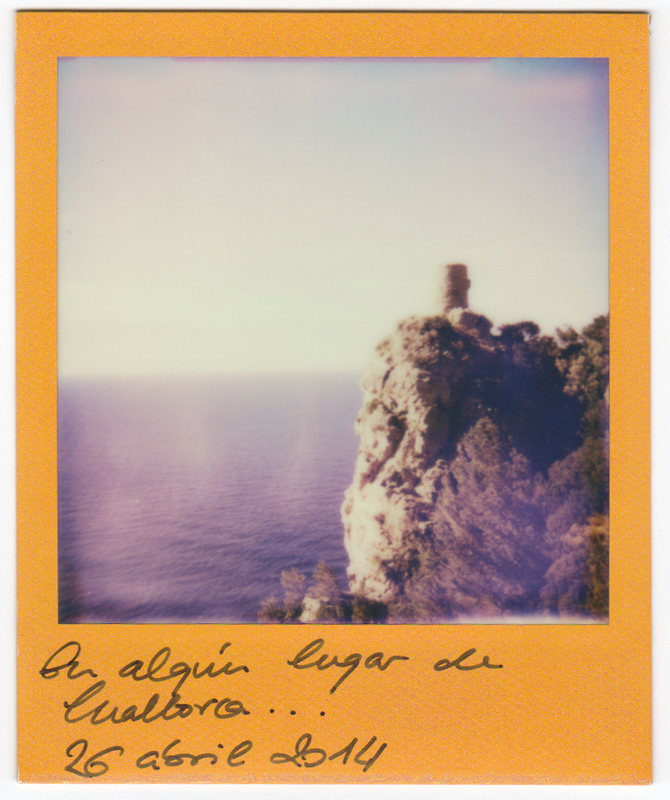 Para mi viaje a Mallorca, llevé mi Polaroid Impulse Portrait, que por cierto nunca había usado, así que compré una película de The Impossible Project. Me decidí por la edición especial con los marcos de colores. The results of this film are pretty great, and shot with an old Polaroid is exciting and incredible! I love it! But the problem is, as always, that it’s a bit expensive and of course I was teased by the camera or the film, or both, because the first photograph got removed without taking a photograph, even without touching the camera!!! Los resultados de la película son bastante buenos, y disparar con una vieja Polaroid ¡es emocionante e increíble! Pero el problema es, como siempre, que resulta un poco caro y por supuesto la cámara, la película, o ambos, me vacilaron… ya que la primera foto salió sin haber hecho una foto, ¡¡¡sin haber tocado siquiera la cámara!! !